Wrapped in saffiano finished leather with polished hardware. 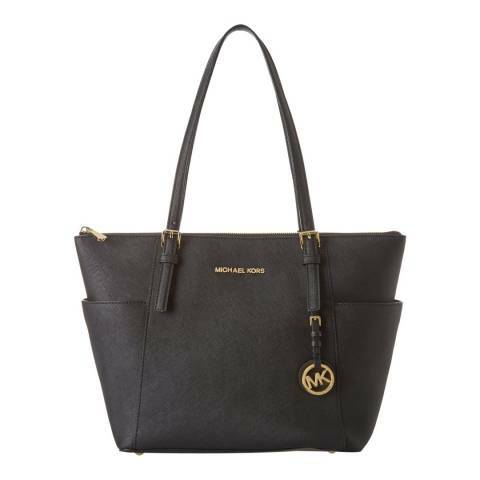 The interior is lined in Kors logo fabric and features a zippered pocket, four open slip pockets, and a key fob. It has a fully zippered top closure, and there are side gusset pockets for additional storage. The front is accented with Michael Kors lettered logo and a removable Kors circular logo hang charm. Four metal feet help protect the bottom of your bag.